French Lick, IN – On June 22nd, Daniel Lynch, M.D. 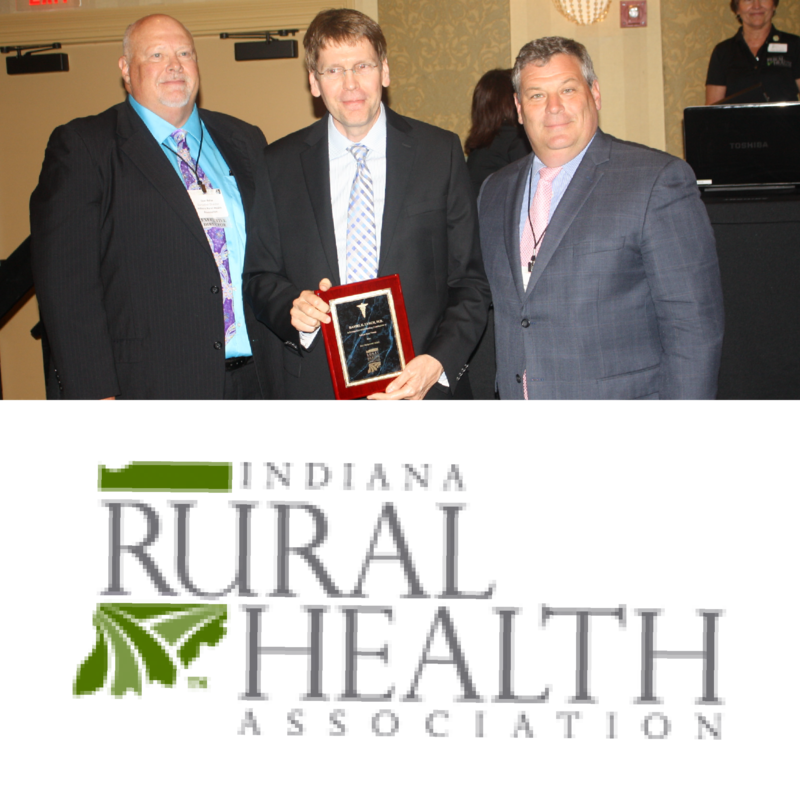 of Indiana received the Indiana Rural Health Association Doc Hollywood Award. This award, presented at the Annual Indiana Rural Health Association Conference in French Lick, Indiana, is presented to a provider who has demonstrated dedication toward improving health care in his or her underserved community. To be considered for this prestigious award, one must be nominated by their peers and then selected by the Indiana Rural Health Association committee. The award signifies exemplary healthcare service and an initiative to improve the community in which they practice. When accepting the award, Dr. Lynch stated that he was both surprised and honored to receive this award. Additionally, he stated that it was an easy decision for him to come to these communities when he learned about the Pain Management Group model of addressing pain with a balanced approach that holds patients accountable for their care. Dr. Lynch is the pain management provider at three (3) southern Indiana rural hospitals. His practices include The Perry County Memorial Hospital Pain Management Center in Tell City, The Gibson General Hospital Pain Management Center in Princeton, and Daviess Community Hospital Pain Management Center in Washington. Steve Berkhouse, CFO at Perry County Memorial Hospital, shared his thoughts on Dr. Lynch receiving the Doc Hollywood Award. Dave Bixler, CEO at Daviess Community Hospital, expressed his support for Dr. Lynch and the Daviess Community Pain Management Center. To learn more about Pain Management Group or to find your nearest pain management center visit www.painmgmtgroup.com . For questions regarding this release please contact Corporate Relations Manager, Christina Muryn, cmuryn@painmgmtgroup.com.